The award-winning ArcTanGent Festival is the world's ultimate music festival for connoisseurs of Math-rock, Post-rock, Noise-rock, Alt-rock and everything in between. Taking place from Thursday 16th to Saturday 18th August, just 10 miles south of Bristol, fans can expect 3 nights camping, over 70 bands across 4 stages, and a silent disco - all in an incredibly intimate setting, with a capacity of 5,000 festival goers. 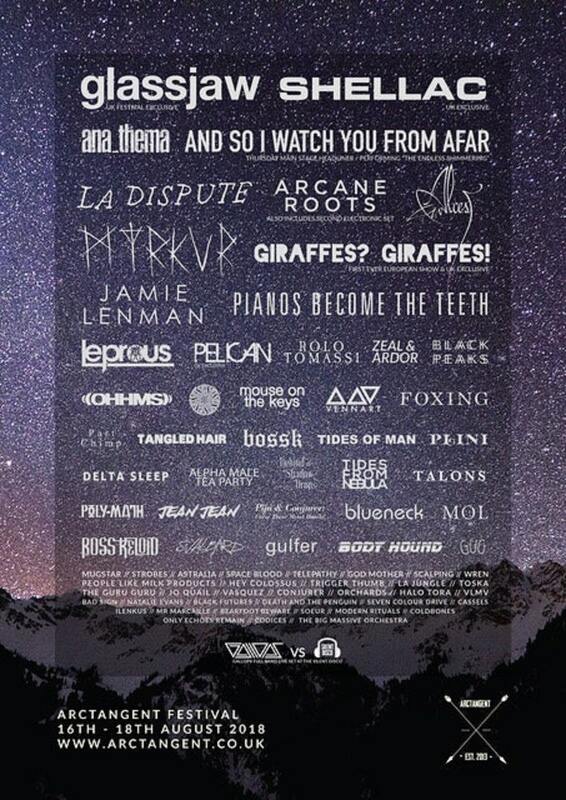 This year's headliners include And So I Watch You From Afar, Glassjaw, and Shellac. We got a chance to catch up with festival founder Goc O'Callaghan, who lets us in on some of the secrets that have made the festival so popular for fans all around the globe. 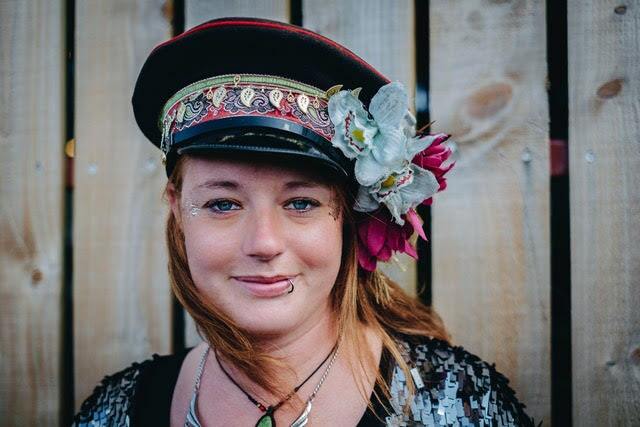 Founder of ArcTanGent; Vice Chair of the Association of Independent Festivals; Business owner; BIMM lecturer; PhD owner; Public Speaker; and keeper of the world's largest collection of top-notch hats – are you purposefully trying to make us all look bad? Seriously, though – where does this drive come from? Arguably, I haven't worked a day in my life, I love what I do so it's mostly playtime for me! In all honesty, I don't see myself as being overly driven, I constantly think that I should be doing more, however, I do work hard (really hard), and I'm often searching for that 25th hour in each day. The wrath of entrepreneurialism is I never reach my goals, because I myself, am constantly moving them in order to achieve bigger and better things. My main driving force is that I have had a dream since the age of seven years old to create memories for millions of people. I'm working on it, but I think it will take a lifetime to fulfil. Other than small folk day-festivals, Reading Festival was the first festival that I attended at the age of 16. It was definitely a marker in my history, however it was the more creative independent festivals that sparked a fire in my belly, leading me to go down the route of running my own festivals. I had been throwing parties in the woods where I grew up in since the age of 14, and had been going to gigs since the age of 12, so I guess running festivals was a natural career path for me. Festival Founder, Goc O'Callaghan. Photo: Sam Lees. You've had some incredible acts including The Dillinger Escape Plan, 65daysofstatic, Explosions In The Sky, Godspeed You! Black Emperor, and more – do you have any interesting anecdotes from ArcTanGent's band history? So many! Although I'm not sure how many of them are Ents24 blog friendly! Without a doubt one of the sweetest stories is about how excited Mylets got when he met the pigs on the farm! Following on from that – has there been any interesting rider requests that you can tell us about? To my knowledge, most of the rider requests have been reasonably sensible (no one has asked for only blue M&Ms! ), either that or we've point-blank ignored the extreme ones! There was a request for some weird Kombucha tea (a brand that you can't find in the UK), which got ordered and then left by the band. Other than that, nothing that springs to mind. Same question to you (asked to James from your sister festival 2000trees the other week) - you're a festival known for championing new artists and bringing acts over from all parts of the globe. What's your recruitment process – where do you find these wonderful bands? Word of mouth advertising is without doubt the best way to discover new acts. The Dillinger Escape Plan at ArcTanGent 2015. Photo: Joe Singh - Snaprockandpop Photography. There have been too many excellent sets to mention over the years, but what are some that have stuck out for you? And So I Watch You From Afar – every set! The absolute spirit animals of ArcTanGent. Human Pyramids – they did a set in the sheep shearing barn, which was recorded (https://www.youtube.com/watch?v=wiV-VFziJlo) before they played on the main stage. When they played on the main stage and started playing 'Tall Tales' (the first track on their 2014 album 'Planet Shhh! '), that was it, in four chords, I was absolutely streaming with tears. That band and that song especially mean a lot to me. Vennart – especially when Music For A Nurse (by Oceansize) was dedicated to the organisers (I might have made a tear...wait, there seems to be a theme here!). Alpha Male Tea Party/Cleft mash-up set – that was something special – if you weren't there, check it out on YouTube (https://www.youtube.com/watch?v=dzB8NhvVNHM). I watched The Dillinger Escape Plan through my fingers with my hands held over my eyes waiting for something ridiculous to kick off, which thankfully it didn't. Greg (Puciato, lead singer) jumping from the king pole of the mains stage from about 14 metres up into the crowd was something to see. There are a couple of incredible photos of this. After Halo Tora's set last summer, I spent a lot of time with the band, which has kicked off some really cool stuff. They're definitely ones to watch, who have some really cool stuff just around the corner. Make sure you see these guys at 5:00pm Friday on the Bixler stage. Agent Fresco's set was a standout set for me; just utterly brilliant from start to finish. There are so many, I could keep going for ages! Are the rumours true? No Arc Stage this year? The Arc Stage remains as our main stage, but the structure is different. Arc 2.0, if you will. The previous stage looked amazing, but was a nightmare to set up, and given that we have historically been battered by rain, it made sense to change the structure to keep everyone dry. The new stage is so big we could fit the entire festival crowd underneath it. We're also putting a bar in the Arc so there's no need to miss a band or step outside to top up your beer! What have you currently got playing at the ATG offices? Don't do it! I mean that a little tongue in cheek, and a little seriously. Running a festival is not as 'rock and roll' as it may look. In all honesty, it is immensely hard work, very stressful, not at all glamorous, and it is definitely not going to make you rich. Unless you have a burning desire to run a festival and are prepared to put blood, sweat, tears, your heart and your soul into it, then it won't happen - or it at least won't happen for very long. I've made a lot of personal sacrifices to get to where I am, but I wouldn't change it for the world. I love it. Grab your tickets for ​ArcTanGent 2018 and learn more about the bands here. You can also check out their official website, Facebook page, plus their Twitter and Instagram accounts.